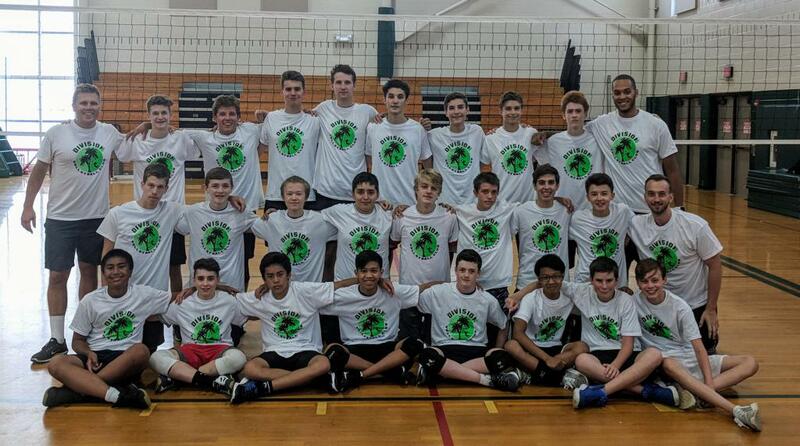 Division1 Volleyball Club is committed to providing youth athletes with the highest level of training and leadership to help them reach their full athletic potential. The club was founded in 2007 by Shane Davis (current Head Coach of the NCAA BIG-10 Northwestern Women's Volleyball Team and former 2x NCAA Division I National Champion Coach of Loyola University's Men's Volleyball) and his wife, Andrea, (2011 recipient of USA Volleyball award for outstanding club directorship). In 2015 Derek Jensen, NCAA DI athlete at Loyola University Chicago and long-time Division1 VBC coach, was added as D1's first full time staff member. Derek has now taken the reins from Andrea and Shane and is the Owner and Director of Girl's Volleyball for Division1 VBC! In 2018 Kris Berzins, former 2x NCAA Division I National Champion Coach of Loyola University's Men's Volleyball, was brought on as the full-time Director of Boy's Volleyball. The majority of our coaching staff has played or coached in college and several of our coaches have advanced into careers at major college volleyball programs. We conduct our training using a master coach system, meaning one highly-experienced coach is responsible for planning and running each practice session with the support of their co-coaches. This makes training consistent from team-to-team, regardless of age or team level. Division1 is not a club where you will spend the majority of practice scrimmaging—athletes will be rigorously trained. Our decades of combined collegiate coaching and playing experience shape the way in which we run our club—we are volleyball professionals—knowledgeable, committed, and completely passionate about this sport. Click to view more about our coaching leadership staff.